Helping you to meet the challenge of protecting your valuable information is a top concern for HoGo, and raising awareness of the issue is a top goal for this blog. We do that by highlighting the complexities of protecting digital data in an environment that is inherently porous, as well as by pointing out stories that illustrate the legal complexities of protecting intellectual property in a world that doesn’t always seem to respect ownership and fair use. I came across a John Villasenor piece on Forbes.com the other day that was right up that alley, and as much as I’d like to copy and paste the text here… well, that would be ironic. 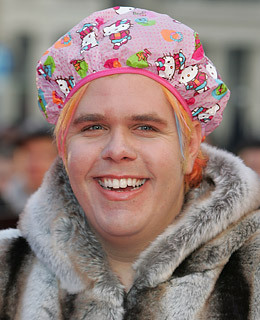 Villasenor starts out with a couple examples of cases, including one involving celebrity gadfly Perez Hilton, where the works of creators were copied without permission and outside the boundary of fair use, and then he offers a few pieces of advice to help others avoid finding themselves in the position of having abused another’s copyright. I think that’s a great approach. My blog has focused on helping you to better protect what’s yours, but since I’ve often pointed out that much of what is categorized as a data breach or copyright violation is the result of accident or ignorance, knowing how to fairly share can also help address the problem. I do believe that most people are not out to intentionally rip us off, and knowledge and awareness are the best remedies for avoiding simple misunderstandings. I’m happy to be adding my voice and perspective to the ongoing dialog. Thanks for tuning in. And, by all means, if you’ve got any suggestions for topics I should cover, ways to make this blog more informative, questions about any of the things I’ve covered… leave a comment or drop me a note. You can find me on Twitter at @spinzo (where I post about all kinds of stuff, including privacy, information security, fly fishing, politics, and a liberal does of inanity), and you can follow HoGo on LinkedIn as well.